Ideal for single pitch cragging, or working with the fat ropes in climbing gyms. The wide slot fits up to 11mm ropes, even those that have become stiff and cable-like with use. Made of robust abrasion-resistant stainless steel. High braking performance helps you catch and hold a leader who likes to hang and work projects. Rope can be paid out fast by holding the device in the open position with the thumb. Great handling, even for larger-diameter ropes. The maximum diameter or the range of rope diameter that is compatible with the device. 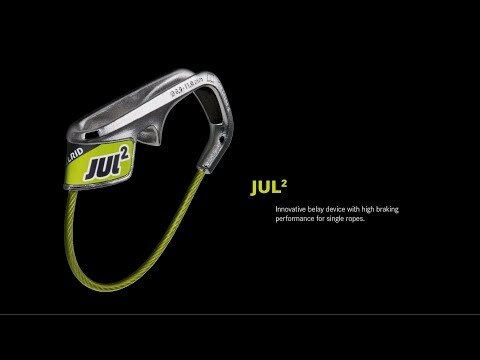 Use an autoblock device with a locking carabiner to belay off the anchor or to bring up two seconds on independent lines.